Beat the eggwhites until soft peaks form. Gradually add the sugar, beating well until the mixture is glossy. Sift the cornflour over, add the vinegar and fold through. Pile into two 15cm-rounds on baking trays lined with non-stick baking paper. Place in the oven, reduce the heat to 120°C and cook for 1 hour. Turn the oven off and allow the meringue to cool in the oven. 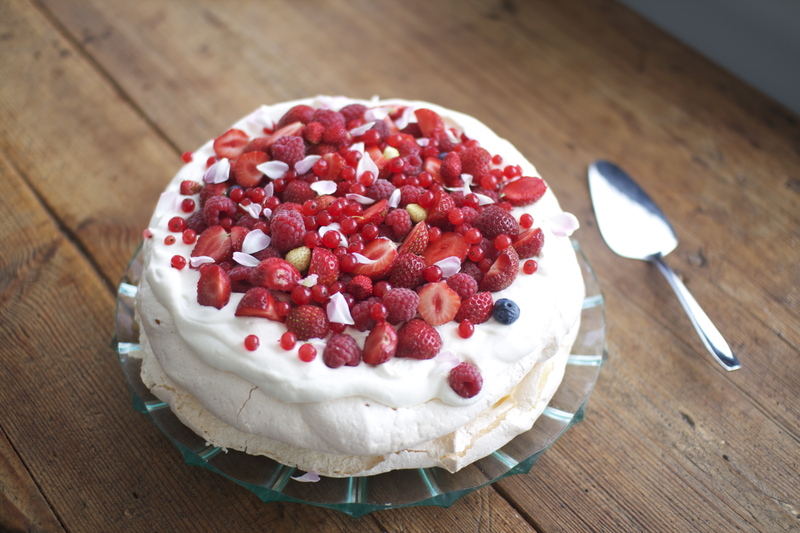 To serve, top the first layer with cream and berries and then the second meringue and top with more whipped cream and garnish with heaps of berries.